2651001 D150 FIAT-KOBELCO D150 Bulldozer Spare parts catalog. Operation and maintenance manual. Service/Repair manual. 2651002 D150 Tier 2 FIAT-KOBELCO D150 Tier 2 Bulldozer Spare parts catalog. Operation and maintenance manual. Service/Repair manual. 2651003 D150L-GP Tier 2 FIAT-KOBELCO D150L-GP Tier 2 Bulldozer Spare parts catalog. Operation and maintenance manual. Service/Repair manual. 2651004 D150L-GP FIAT-KOBELCO D150L-GP Bulldozer Spare parts catalog. Operation and maintenance manual. Service/Repair manual. 2651005 D150PS Tier 2 FIAT-KOBELCO D150PS Tier 2 Bulldozer Spare parts catalog. Operation and maintenance manual. Service/Repair manual. 2651006 D150PS FIAT-KOBELCO D150PS Bulldozer Spare parts catalog. Operation and maintenance manual. Service/Repair manual. 2651007 D180 FIAT-KOBELCO D180 Bulldozer Spare parts catalog. Operation and maintenance manual. Service/Repair manual. 2651008 D180PS FIAT-KOBELCO D180PS Bulldozer Spare parts catalog. Operation and maintenance manual. Service/Repair manual. 2651009 D180 Tier 2 FIAT-KOBELCO D180 Tier 2 Bulldozer Spare parts catalog. Operation and maintenance manual. Service/Repair manual. 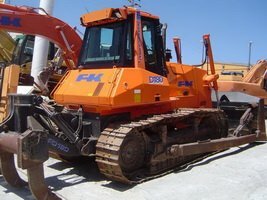 2651010 D180 FIAT-KOBELCO D180 Bulldozer Spare parts catalog. Operation and maintenance manual. Service/Repair manual. 2651011 D255 FIAT-KOBELCO D255 Bulldozer Spare parts catalog. Operation and maintenance manual. Service/Repair manual. 2651012 D350 FIAT-KOBELCO D350 Bulldozer Spare parts catalog. Operation and maintenance manual. Service/Repair manual. 2651013 D350L-GP FIAT-KOBELCO D350L-GP Bulldozer Spare parts catalog. Operation and maintenance manual. Service/Repair manual. 2651014 D350LT FIAT-KOBELCO D350LT Bulldozer Spare parts catalog. Operation and maintenance manual. Service/Repair manual. 2651015 D350PS FIAT-KOBELCO D350PS Bulldozer Spare parts catalog. Operation and maintenance manual. Service/Repair manual. 2651016 D350XLT FIAT-KOBELCO D350XLT Bulldozer Spare parts catalog. Operation and maintenance manual. Service/Repair manual. 2651017 FD30C FIAT-KOBELCO FD30C Bulldozer Spare parts catalog. Operation and maintenance manual. Service/Repair manual. 2651018 FD255 FIAT-KOBELCO FD255 Bulldozer Spare parts catalog. Operation and maintenance manual. Service/Repair manual. 2651020 G110 FIAT-KOBELCO G110 Motor Grader Spare parts catalog. Operation and maintenance manual. Service/Repair manual. 2651021 G110 6WD FIAT-KOBELCO G110 6WD Motor Grader Spare parts catalog. Operation and maintenance manual. Service/Repair manual. 2651022 G110.2 FIAT-KOBELCO G110.2 Motor Grader Spare parts catalog. Operation and maintenance manual. Service/Repair manual. 2651023 G110.2 Tier 2 FIAT-KOBELCO G110.2 Tier 2 Motor Grader Spare parts catalog. Operation and maintenance manual. Service/Repair manual. 2651024 G110.2 6WD FIAT-KOBELCO G110.2 6WD Motor Grader Spare parts catalog. Operation and maintenance manual. Service/Repair manual. 2651025 G110.2 6WD Tier 2 FIAT-KOBELCO G110.2 6WD Tier 2 Motor Grader Spare parts catalog. Operation and maintenance manual. Service/Repair manual. 2651026 G140 FIAT-KOBELCO G140 Motor Grader Spare parts catalog. Operation and maintenance manual. Service/Repair manual. 2651027 G140B FIAT-KOBELCO G140B Motor Grader Spare parts catalog. Operation and maintenance manual. Service/Repair manual. 2651028 G170 FIAT-KOBELCO G170 Motor Grader Spare parts catalog. Operation and maintenance manual. Service/Repair manual. 2651029 G170B FIAT-KOBELCO G170B Motor Grader Spare parts catalog. Operation and maintenance manual. Service/Repair manual. 2651030 G200 FIAT-KOBELCO G200 Motor Grader Spare parts catalog. Operation and maintenance manual. Service/Repair manual. 2651031 G200B FIAT-KOBELCO G200B Motor Grader Spare parts catalog. Operation and maintenance manual. Service/Repair manual.